How Do I Write A Song? If you’re sitting there wondering, how do I write a song? I’ve taught over 1000 musicians to write songs over the last few years, and many of these have gone onto become highly successful songwriters. … Great songs you are proud of! Now, the first question I have for you is… How serious are you about songwriting? If you’re very serious, I’d suggest you take a look at my flagship course, The Songwriting Genius Within You. This is the best songwriting training at any price, and will quickly take you to where you want to go in your music career. If you’re after big success, this course is for you. If you’re less serious though, and you just want to enjoy writing some songs that impress your friends and family, then let me refer you to an article series that’ll take you through the songwriting process. 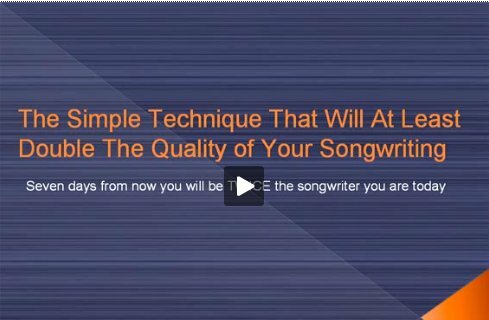 Follow the action steps in this article and you’ll be able to write a song of your own quite easily. In fact, I’d recommend you print it out so you can refer to it as you move through the process. Also, you’ll find that the more times you complete this process and write a song, the better you’ll get. Here’s the "how do I write a song" article series I’m talking about. Give it a shot! I’m positive you’ll enjoy it! Finally, if you’d like to get songwriting training on an ongoing basis, you are very welcome to join my Songwriting Newsletter. It’s free of charge, and you get a ton of free tutorials, videos and exercises just for joining. Well, I’d like to finish by saying that I hope you get into some of these trainings and write some songs that you’re really proud of! Songwriting really is extremely enjoyable and I know you’re going to love it. So begin writing! I wish you all the best with it.